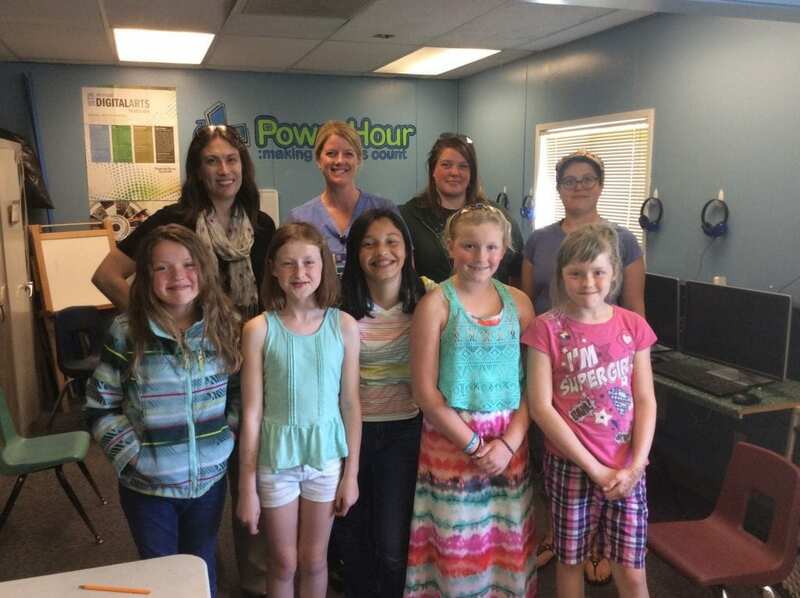 On Monday, May 2nd, the SMART Girls of the Sedro-Woolley Boys & Girls Club were treated to four guest speakers all offering different insights on college and career paths. Jill Gatto from Skagit Valley Hospital talked to the girls about what a day in the life of a surgical assistant looks like. The girls asked stimulating questions about prosthetics, how many patients she attends to each day, and what her work schedule looks like. Vanessa Jones, a math teacher from Sedro-Woolley High School, stressed the importance of higher education and the joys of college, and how all that hard work and effort pays off. She even challenged the girls with some math problems! Jackie Dexter talked to the group about how she has used her science degree from WWU to create a farm at her home. She shared information about how she is growing plants, creating a pond, and all the animals currently living on the farm. Sigrid Williams of Aqua-Terr Systems Inc. talked to the girls about her job as an associate biologist, and how she uses science in her job. She also talked about scuba diving and teaching Discover Scuba classes with Gone Diving out of Bellingham. It was a science and math-filled day for the girls—two fields that are sometimes intimidating to young women- but with these guest speakers, it was something that the girls were able to see as a possibility for them, too! All guest speakers engaged the SMART girls by asking what their career aspirations were, what they liked most about school, and where they might like to go to college. Hearing from engaging guest speakers showed the girls about available career paths, how one can use their education in different fields and careers, and that college can be a challenging path with great rewards after graduation. The girls felt empowered, encouraged, and shared stories and laughs. All left with information from each guest speaker resulting in a great success for this year’s SMART Girls Career Fair.